Short Bytes: In a teardown operation by Chipworks it has been confirmed that some iPhone 7 models are running Intel mobile platform wireless chips inside. The model in the teardown was iPhone 7 A1778. This has also solidified the earlier reports about Apple shifting to multiple vendors for wireless modems. Apple recently released the iPhone 7 which marked the end of the analog 3.5mm jack from the Apple iPhone line. Just like the older iPhone models, the iPhone 7 features an A series chip known as A10 Fusion. Unlike other smartphone manufacturers, Apple itself designs the chips for its iPhones. But the whole chip is not made with Apple-made components. Until now, the iPhone-maker has been dependent on chip makers like Qualcomm for the wireless chips which enable iPhone to connect to a carrier network. Chipworks, in its iPhone 7 A1778 teardown, has found an Intel Mobile Platform chips. “Intel supplied not just one, but two RF transceivers, the baseband modem, and the (RF) power management IC,” reads a blog post. Chipworks is a Canada-based patent analysis company which reverse engineers devices for companies who want to monitor their patents. The teardown confirmation has also solidified earlier rumors of Apple going for multiple modem vendors. 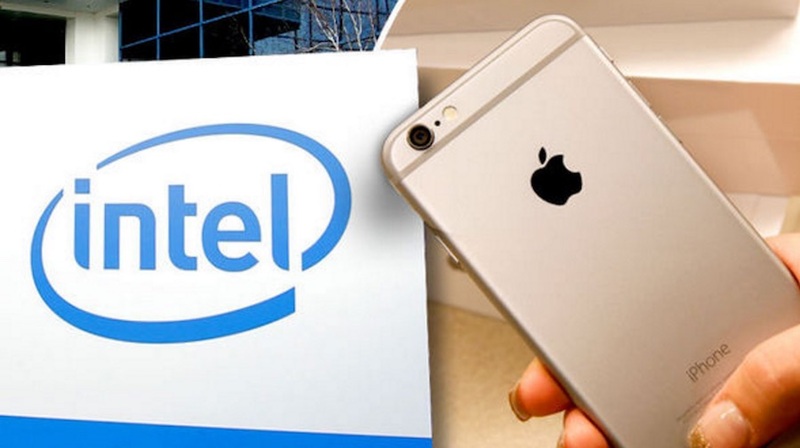 In June 2016, Bloomberg, referring to unnamed sources, reported that Apple would be putting Intel wireless modem chips for the new AT&T exclusive iPhones and some other variants in overseas markets. The report also said that Apple would use Qualcomm chips for the Verizon exclusive iPhones and the iPhone models sold in China. Read Chipworks’ full Apple iPhone 7 teardown here.